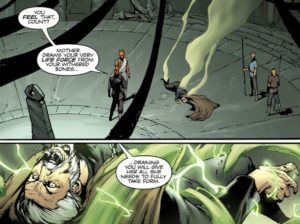 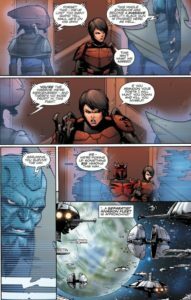 In the fourth and final issue of Darth Maul, Son of Dathomir, we see that Count Dooku is still in the capture of Darth Maul from the previous issue. However, there is also some trouble about to be brewing with The Shadow Collective. 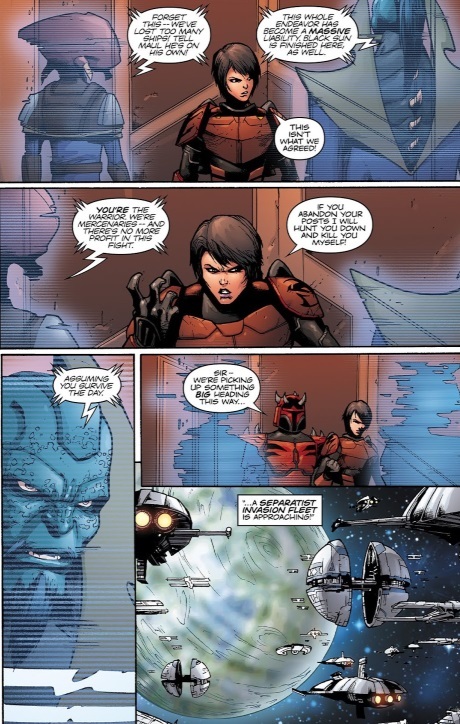 While Maul doesn’t directly respond to their concerns, it seems that he has bigger concerns on his mind about what to do next. 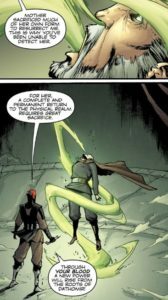 Yet, it is almost as if he does not really comprehend their concerns of what they have lost – in each of the three preceding encounters, they have lost not only many warriors, but also physical bases and nothing to show for it. In other words, the ROI on this alliance has been terrible for them. 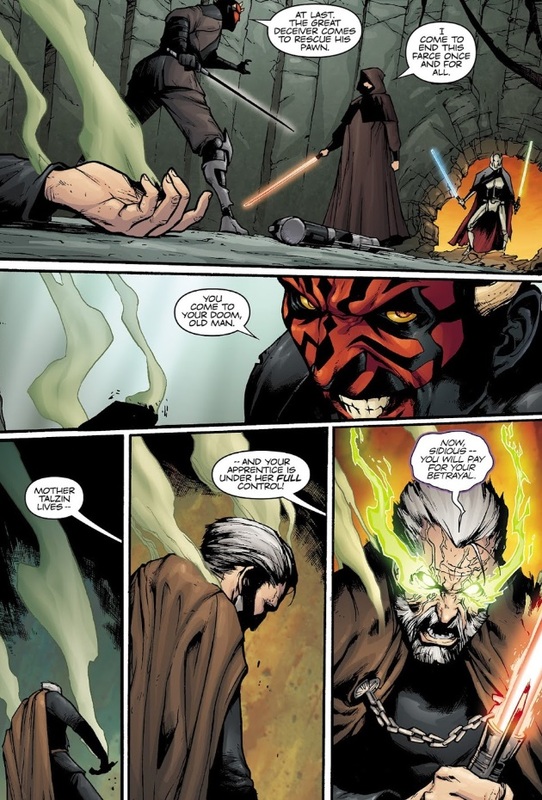 Nevertheless, Maul is so focussed on what should be next, it seems as if he cares little for their losses. It would seem that, somehow, Darth Sidious was able to figure out where to direct Count Dooku to send Separatist forces to break up the Shadow Collective, and this seems to cause the Shadow Collective to come apart, especially with Ziton Moj’s ultimatum of “our partnership is finished” if Maul’s fleet doesn’t deploy to help the Black Sun at that moment. However, while this is going on, Darth Sidious and General Grievous intrude upon Maul’s turf on Dathomir, although Mother Talzin is far enough along that Darth Maul tells Darth Sidious: “Mother Talzin lives – and your apprentice is under her full control!” Moreover, Mother Talzin in Count Dooku’s body tells Darth Sidious: “Now, Sidious, you will pay for your betrayal.” We then see twin duels erupt: Darth Maul fighting General Grievous, while Darth Sidious battles Mother Talzin inhabiting Count Dooku’s body, which is an incredible battle scene. 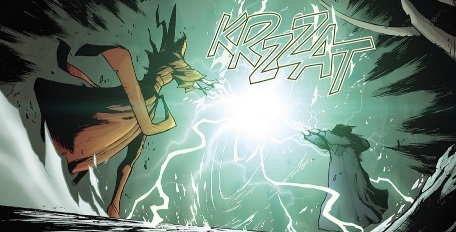 As Sidious continues sending Force lightning into Count Dooku’s body, it eventually yields Mother Talzin’s corporeal emergence onto the battle field. 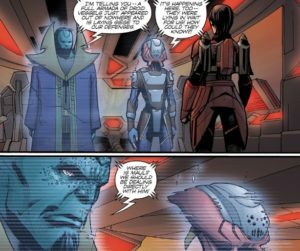 Clearly, the ROI was working in neither the favor of Black Sun nor the Pykes. 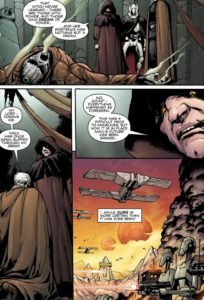 Perhaps if Darth Sidious hadn’t perceived the Shadow Collective as a threat and sought to destroy it, the Shadow Collective could have become powerful and successful in its aims. However, it ran afoul of Darth Sidious, which seems to have been its undoing. 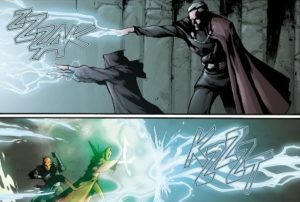 Meanwhile back on Dathomir, Mother Talzin and Darth Sidious are involved in their own duel – Darth Sidious sending Force lightning in seeming equilibrium to Mother Talzin’s magicks. However, Count Dooku, who has regained consciousness, then adds in his Force lightning alongside Darth Sidious. 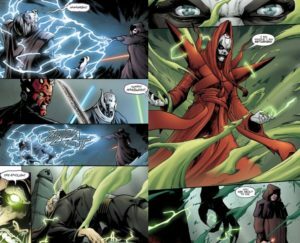 Darth Maul, who has Force-pushed General Grievous far away from the battle, then aids Mother Talzin, with his energy to her. 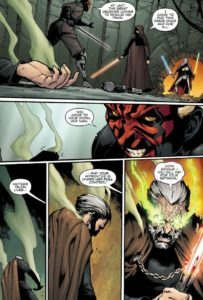 While Maul is trying to help her, she realizes they are outmatched and she needs to save Maul. So, she pushes him away, and tells him to get away in order to save himself. 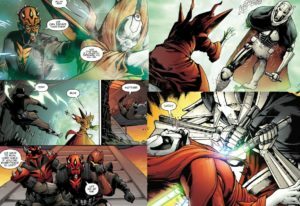 While he is distraught and very much wants to help her, he is being pulled away by Mandalorians, who are trying to save him and to escape back to Mandalore. 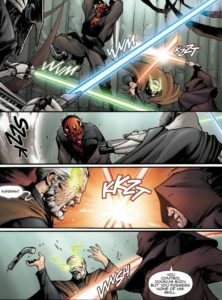 While Mother Talzin is fending off the Force lightning from Count Dooku and Darth Sidious, General Grievous comes striding up to her and runs her through with lightsabers, causing her to finally expire. Next Excited for Upcoming Season of Star Wars The Clone Wars!